The Coconut is natures natural protection against the elements. We have blended the beneficial ingredients of both the Timu Coconut Oil and the Elastin Collagen Moisturizer, which together, leaves your skin soft and hydrated. 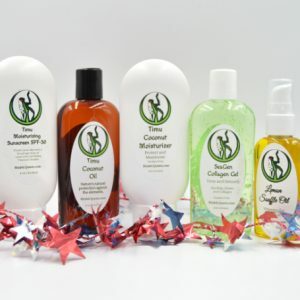 Protect your skin from the elements with Coconut, Aloe Vera, Kelp, Sunflower Oil and Shea Butter. Combine with our SeaGen Collagen Gel to smooth, firm and tighten your skin. 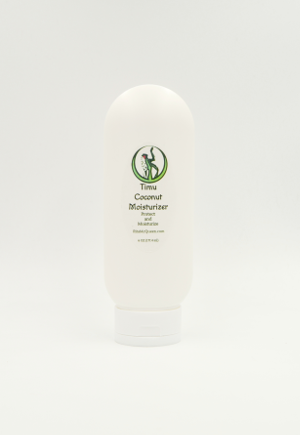 Apply generously to hands and body to hydrate, nourish and maintain elasticity in the skin. Excellent on the face if you have dry skin. Did you know coconut is one of the best natural moisturizers for your skin? Rita did, so we used an all natural coconut oil without the lauric acid removed. When you break coconut oil down into its active parts, like lauric acid, things start to look less miraculous and more like a science experiment! Coconut is also a natural UV blocker, but you should always use a sunscreen. We have blended the beneficial ingredients of both the Timu Coconut Oil and the Elastin Collagen Moisturizer, which together, leaves your skin soft and hydrated. 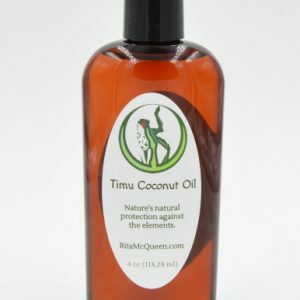 Timu Coconut Oil contains Coconut Oil, Apricot Kernel Oil, Sweet Almond Oil, Safflower Oil, Avocado Oil and Argan Oil. They are rich in Vitamin A and E which regenerate and maintain elasticity, help reduce lines, wrinkles and stretch marks. 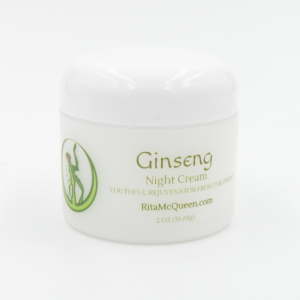 ​Our Collagen Moisturizer contains Elastin, Collagen, Kelp and Seaweed, Sunflower Oil and Shea Butter. Combine with our Collagen Gel to smooth, firm and tighten your skin. Excellent hand and body moisturizer. 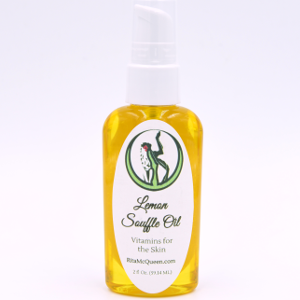 Apply generously to face and throat to hydrate, nourish and restore elasticity to the skin. Protects your skin from harmful elements. Deionized Water, Aloe Vera Juice Extract, Sunflower Seed Oil, Coconut Oil, Apricot Kernel Oil, Sweet Almond Oil, Safflower Oil, Avocado Oil and Argan Oil. Caprylic/Capric Triglycerides, Cetearyl Olivate, Sorbitan Olivate, Propanediol, Glycerin, Marine Collagen, Marine Elastin, Kelp Extract, Shea Butter, Cetyl Alcohol, Sorbitan Palmitate, Xanthan Gum, Phenoxyethanol, Ethylhexylglycerin Fragrance.